The Major Rivers flowing in the state of Uttar pradesh are Ganga, Yamuna, Ramganga, Betwa, Gomti, Chambal, Dhasan, Gandak, Ghaghara, Ken, Son and Tons. Ethnic groups of UP are Gujjars, Jats, Ahirs, Brahmins, Dalits, Jatavs, Kurmis, Rajputs. 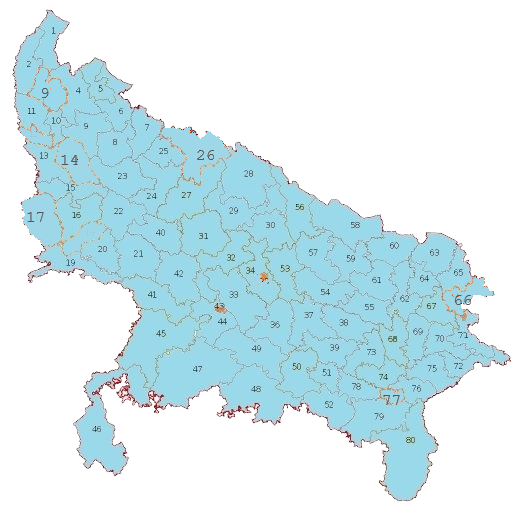 As per the Aadhar Statistics the Uttar Pradesh population in 2019 is 228,959,599 (228.96 Millions) as compared to last census 2011 is 199,581,477. 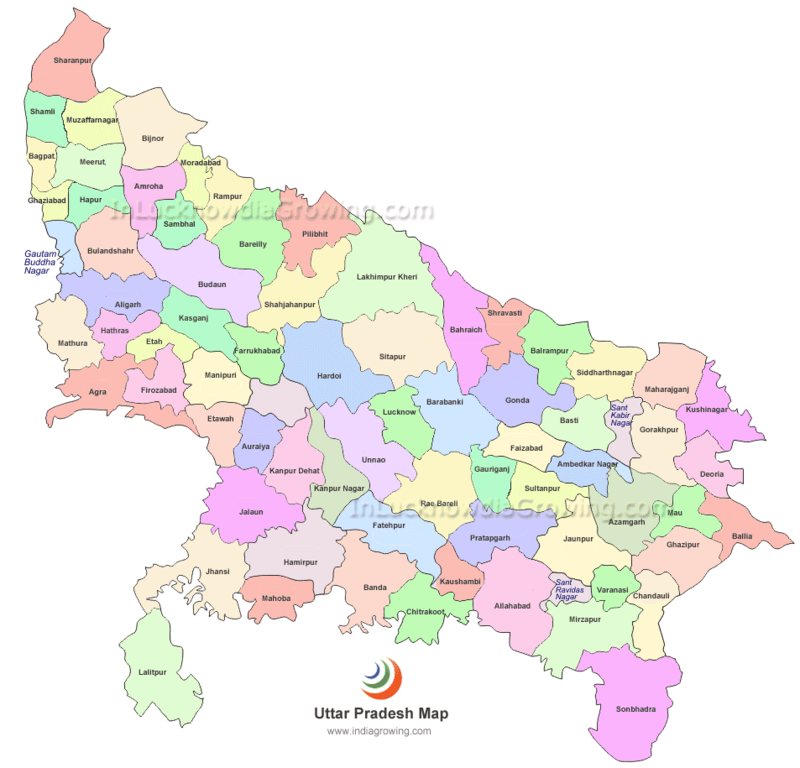 Growth rate of 14.72 percent of population increased from year 2011 in Uttar Pradesh. till 2018. Religions in UP are Hinduism, Islam, Christianity, Buddhism, Jainism Lucknow is the Capital of Uttar Pradesh in india.